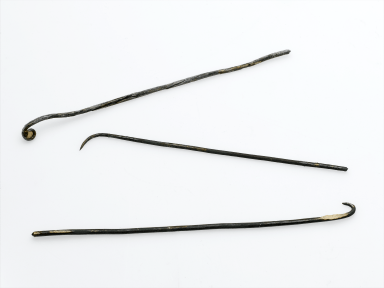 Copies of hooks or cranial crochets used to remove the brain from the skull. (Image: Science Museum, London, A634908 Pt1). Even though the brain was not considered of high importance, it was the Egyptians who first described the cerebral cortex. The first ever written description of the human brain was found in the Edwin Smith Surgical Papyrus written around 1700 BC, which is a copy of a much older text dating around the 30th century BC. Although the author may not have been fully aware of the importance of the brain, this papyrus is meaningful because of its rational descriptions at a time when most medical writings were filled with mysticism and magic. At the same time, it represents the beginnings of the amazing journey to discover the workings of the human brain, which has now flourished into modern-day neuroscience. Fanous, A.A. and W.T. Couldwell, Transnasal excerebration surgery in ancient Egypt: Historical vignette. Journal of neurosurgery, 2012. 116(4): p. 743-748. Lamb, D.S., Mummification, Especially of the Brain. American Anthropologist, 1901. 3(2): p. 294-307. Godley, A.D., Herodotus, the histories. 1920, Cambridge: Harvard University Press. Gross, C.G., From imhotep to hubel and wiesel, in Extrastriate Cortex in Primates. 1997, Springer. p. 1-58. Are whales and dolphins as smart as we are? Although humans are land mammals, we still occupy marine environments whether for work, leisure or exploration. But real sea mammals have adapted to living their entire lives in the ocean and the best adapted are whales and dolphins. Over time their adaptations have allowed them to live in a world with hardly any shelter where sound is more important than sight. Being smart and able to cooperate plays a vital role in surviving in this kind of environment. One thing we have in common with whales and dolphins is that we have big brains. How big? Without taking into account body size, sperm whales have the biggest brain in the world weighing around 7.8 kg. But in proportion to body size, humans have a bigger brain followed closely by dolphins; strangely enough, whales have a smaller brain than most seals. It would make sense to think that a larger brain has more neurons and therefore more cognitive power; but does brain size correlate with cognitive ability? Not necessarily—brain size does not tell us the whole story. The cortex is a thin layer of cells (2-4 mm) that constitutes the outermost layer of the brain and gives it its characteristic wrinkly appearance. The cortex is where all the higher cognitive functions take place, where our senses are processed and where consciousness, thought and language is formed. Because of this, we might assume that having a bigger cortex is the fundamental key to intelligence. 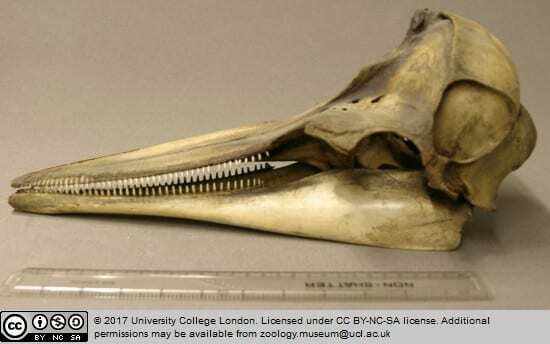 We know that dolphins and killer whales have a much wrinklier cortex than humans, meaning it has a bigger surface area. However, does a bigger cortex mean more neurons? Even though we don’t know the exact number of neurons killer whales or dolphins have, researchers have counted the total number of neurons in the neocortex (part of the cortex) of the minke whale. 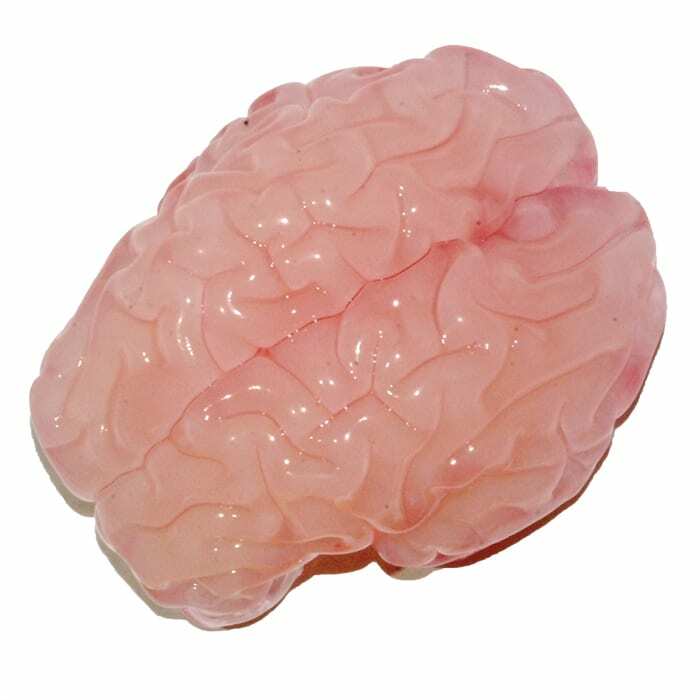 Although it has a similar thickness to the human cortex, it only has 2/3 of the neurons we have. Even at the cellular level, we don’t yet know what these differences mean. Overall a thick cortex does not necessarily mean more neurons and a big brain does not necessarily mean more cognitive power. Taking into account different parameters, it’s hard to tell which animal is smarter. However, putting aside our brains, it’s what we can do with them that is interesting. Amongst whales, dolphins and humans, we all share behaviours that could be called culture. I say this carefully because the term culture can have different definitions and there is still debate on whether non-human animals can have culture in the way that we do. But let’s forget about humans—other animals have their own animal culture. A general definition—taken from the book The cultural lives of whales and dolphins by Hal Whitehead and Luke Rendell—is as follows: “Culture is behaviour or information with two primary attributes: it is socially learned and it is shared within a social community”. In other words, culture is basically what you learn from other members of your community and it’s important to note that it’s not determined by your genes. For instance, dolphins have sophisticated whistles and calls to communicate and some whales, additionally, have songs. They also have very specific ways of feeding depending on where they live and who they “hang out” with. 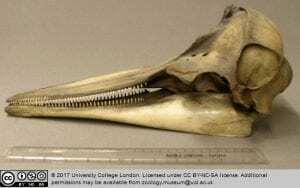 The bottlenose dolphin, for example, has at least 20 different types of hunting. This does not mean that every bottlenose dolphin around the world knows 20 different types of hunting. This means, that depending on their social group and environment, they develop different skills. So one group of dolphins in the Caribbean might hunt a specific fish in a certain way while others in another part of the world do it differently. Even neighbour dolphins might hunt differently depending on who they form social bonds with. Similarly, whale songs can be in or out of fashion changing rapidly and spreading throughout the whole population of whales (grey whales in this case). All of these behaviours could be called culture because they are socially learned and are not determined by genes. Moreover, why is culture so important? Genetic information is passed from one individual to another from one generation to the next. Communication of cultural information happens quicker than the flow of genetic information. Culture allows a population to learn something very quickly, and this, in turn, translates into better adaptations to new threats or new environments. Culture is what allows us, humans, to learn much more than what we could possibly deduce for ourselves. Similar to humans, some would argue that whales and dolphins have culture because they have the ability to communicate information with individuals of their own community. Even if whale/dolphin intelligence or culture does not correlate entirely with our definitions of such, the whole idea of trying to fit them into a human definition is somewhat absurd. Animals adapt to their environment and so, will develop strategies to overcome the hurdles their unique habitat presents; thus if a whale cannot invent the wheel maybe it’s because it doesn’t need to. In addition to big brains and cortices, humans share more with sea mammals than you might think. 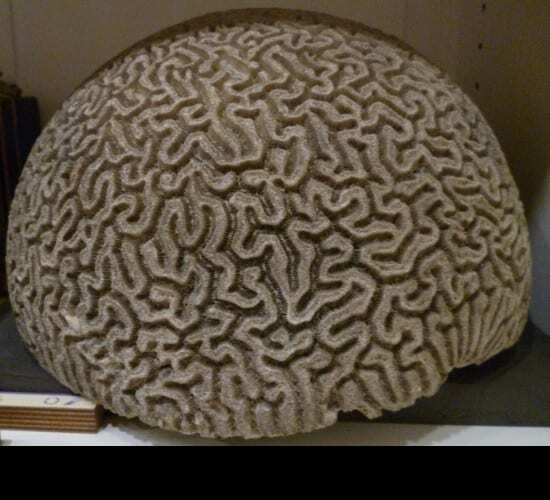 So next time you see a brain or a skull in the Grant Museum of Zoology or any other museum, think about how that brain has evolved to adapt to its particular environment. Whitehead, H., & Rendell, L. (2014). The cultural lives of whales and dolphins. University of Chicago Press. 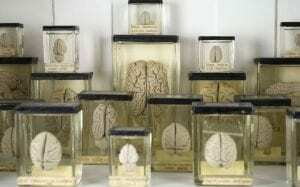 Can we build a brain in the lab? While working at the Grant museum of Zoology the other day, I encountered a lovely group of teenagers that started asking me questions about the museum. As we engagers do, I automatically started talking about my PhD project. 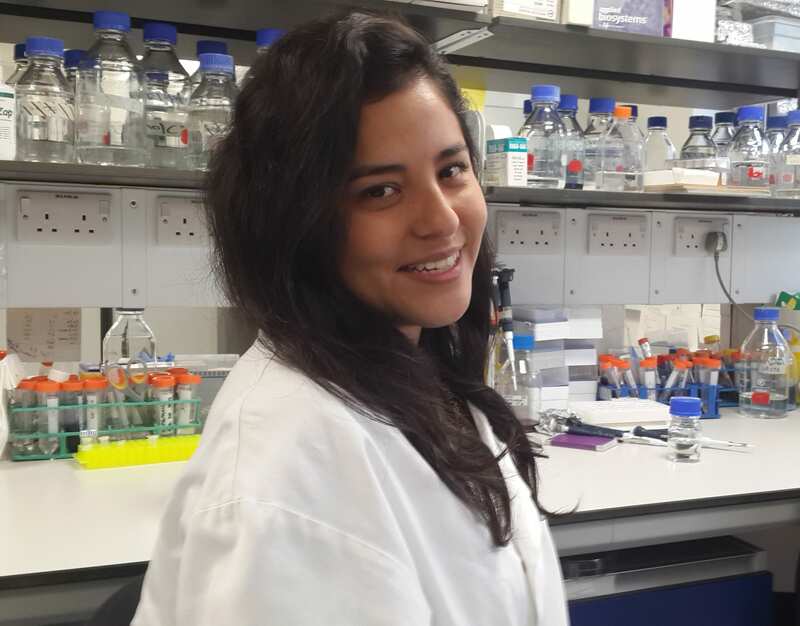 I told them that I was working with stems cells and trying to build a neural tissue in the lab, to which they replied with a tilt of the head in sign of confusion. So I inevitably had to change my explanation and told them that I was trying to build a tiny part of a brain in the lab. With a change of head tilting they replied with “Uh, that sounds cool” and “Are you going to create a Frankenstein?” To which I, being the bubble buster that I am, had to reply with, “Well, actually, Frankenstein was the scientist that created the monster”. So no, I am not going to create a scientist, or a monster, or a brain. I could see a tiny deception in their faces, so explained that neural tissue doesn’t necessarily mean that I’m building an entire brain, although it would be helpful to have two brains instead of one, especially when writing a thesis!!! But no, scientists have not been able to grow a full size brain. 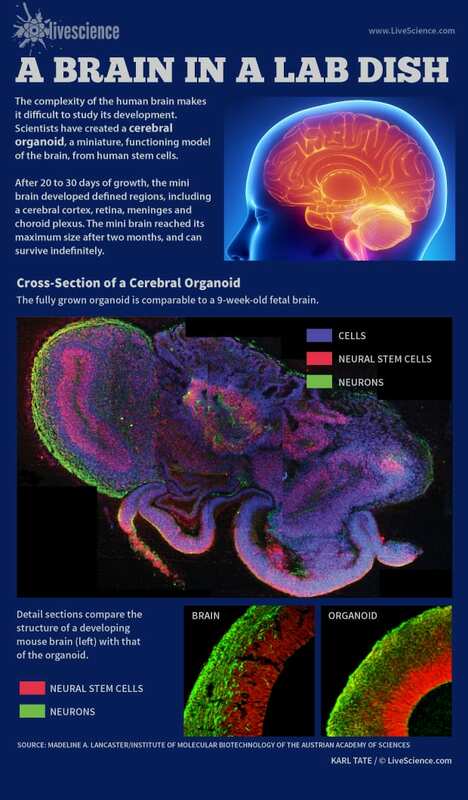 The closest that scientists have come, has been to grow a group of brain cells that self-assembled into an “organoid” that resembles some structures of a brain. So how is that different from a brain? Good question, I am glad you asked avid reader. 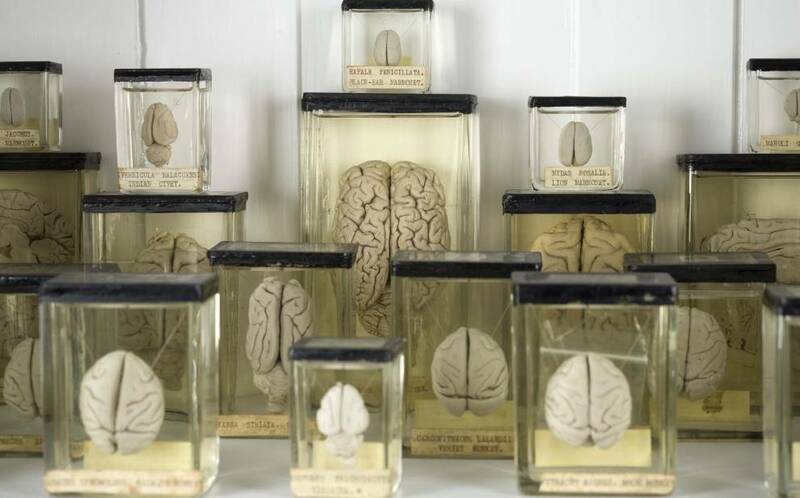 Even though the cells scientists have grown have developed into different kinds of brain cells and had some neural activity, the maturation and differentiation of different brain areas was not complete. The connections and systems that make us see or hear or control our movements were not there. It is not enough to have brain cells arranged together; the information that runs through neurons has to have specific highways and an overall order in the soup of chemicals and cells that is our brain. 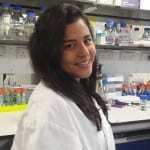 Besides all the intricate and delicate organization cells need to have, they also need nutrients and oxygen or in other words, blood vessels, little tiny ones and big chunky ones, to reach every cell so that they can survive and function. Yes, there are interesting advances into knowing how the brain works and how cells develop into a brain, but we are not there yet. So the answer to “Can we build a brain in the lab?” is no, not right now. So contrary to what may have been on the news, lets just say that we can grow brain cells and keep them alive; we can make them interact with each other and grow groups that self-assemble, but we are years away from actually growing a fully functional brain. And in order to have a ”functioning” brain it would need to have eyes and ears and muscles and all of the systems that connect to it (basically a body) in order to be functional. Otherwise it would not have any input and would not be able to process information. Many of the guys that I was talking to in the museum where relieved when I explained this to them, fearing that maybe science has come too far. Has it? 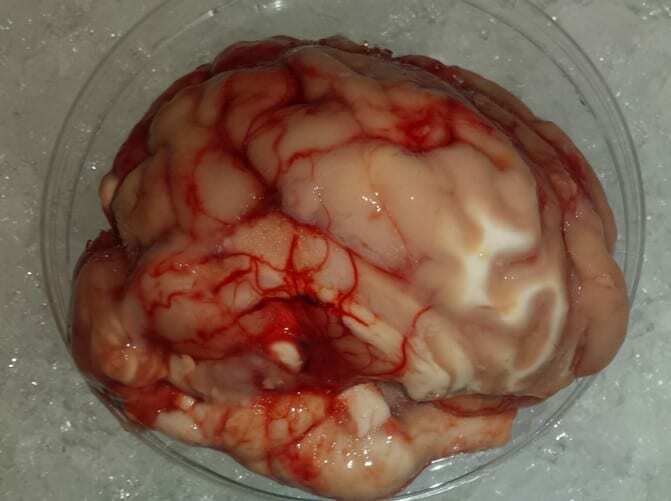 I don’t know, but I will leave you with this question: Do you think it would be a good idea to build a brain in a lab?